Cat on a hot tinhauser. Moguai's been in the game for about a quarter of a century now, and in that time, he's learned a few things — such as how not to lose the ability to grab the listener's attention. That's what this German DJ and producer done with "Tinhauser", his first release of 2017 and an example of how subtlety can pay off just as much as having a melody be thrown directly into your face. The Extended Mix provides all the necessary accoutrements for happiness, though Tinhauser will never be particularly upfront about its parts. Wistful chords underlie the deep bobbing bassline to deliver some solidly simple deep house grooves leading up to the main event. Soon enough, all goes quiet on the front before some noble chords chime on in the form of gentle brass, of all things. The melodic chords are phenomenal — not overly complex, not overly joyous, but smashingly relaxed. The melody itself definitely latches on, giving simultaneously a semblance of ancient civilizations and progressive vibes. There is subtle genius at work here. One other element I really enjoyed was the inclusion of a finger snap sound when the percussion became otherwise barren at times. It just felt right. The entire track flows smoothly, and it's absolutely worth a listen. 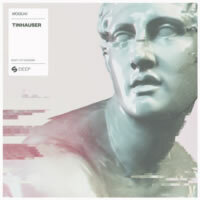 Tinhauser is one of those tracks that may not make a profound impression at first, but later on, you're pretty much guaranteed to have it firmly implanted in your head all day long, driving you into a frenzy until you can return home and give it another satisfying spin. This is deep house at its most potent.